ARGFest 2006 – Chicago, Baby! February 2, 2006 / Jonathan Waite / Comments Off on ARGFest 2006 – Chicago, Baby! After weeks of deliberation and debate, the final results are in, and it looks like ARGFest 5: Chicago will be officially starting on July 21st, and carrying on through the weekend to the 23rd. If you haven’t yet heard of ARGFest, it is a social event geared towards the Alternate Reality Gaming community that has previously been held in Las Vegas, Orlando, Vancouver and New York. The typical ARGFest weekend includes meet-and-greet events, dinners, nighttime activities (with the occasional nighttime beverage) and, on occasion, organized ARG-themed activities. 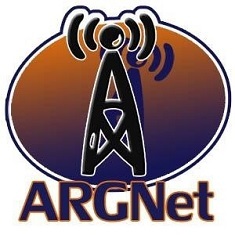 Last year’s ARGFest IV in New York set a new standard for an ARG community event, as organizers planned a full slate for the three day festival. Guest speakers such as Jane McGonigal and members of the Art of the Heist creative team were invited to give presentations to those in attendance, and those talks were eventually made into a DVD and encoded to video files downloadable through the Torrent network. As well, the event committee helped to put together a real world puzzle trail that had groups of eager participants travelling all over the Big Apple. It is not yet known what kinds of surprises lie in wait in the hot summer of Chi-town, but you can be sure that everyone who makes it down to the Windy City will be blown away by the experience. For more information, there is a thread at the Unfiction forums and a wiki to keep you updated.